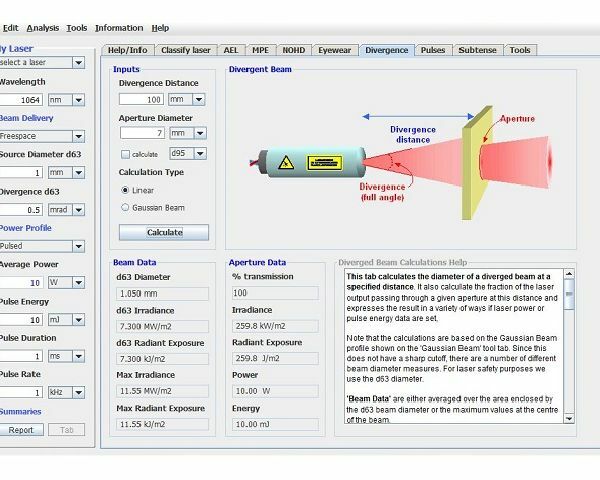 Complying with current EN 60825-1, EN 60825-2, EN 60825-14, EN 207, EN 208 and IEC or BS equivalent standards, LaserBee provides a user-friendly and informative way of reliably calculating laser safety filter requirements and compiling your laser classification database. Compatible with Windows XP, Vista, 7 and 8, as well as Mac and Linux, LaserBee boasts a friendly and approachable interface to new users and experts alike. The familiar ‘honeycomb’ design gives the background information required for a good understanding of laser safety issues, whilst the new interface keeps your laser parameters clearly in view while navigating between different tasks using the intuitive, simple tabbed-pane. 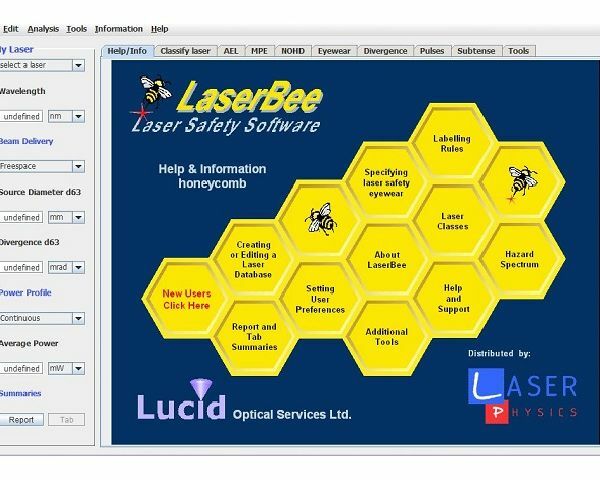 LaserBee features a task-specific help panel explaining how to perform tasks and a one-click report generator to produce on-screen printable reports and calculation summaries which can be viewed and saved into a word processing program if required. 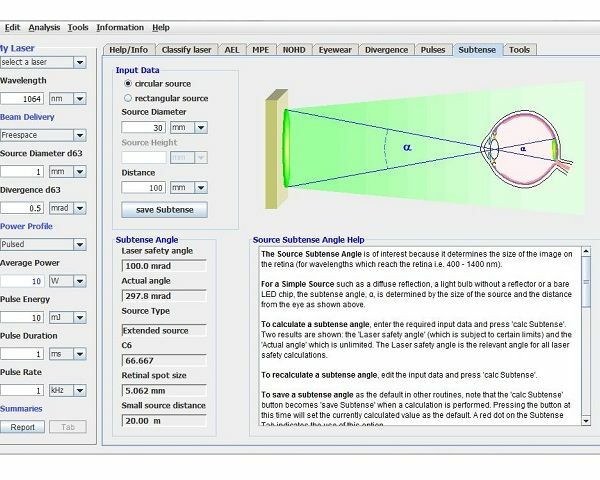 Illustrations and graphs are used to help, explain and guide the user through the laser safety process and LaserBee also offers the user explanations of its calculations. Input boxes, radio buttons etc. have ‘tool tips’ giving specific help for that component. An easy-to-use laser database facility, using a comma separated values format (.csv) file, compatible with most database programs such as Access or Excel etc. Improved access to calculation parameters with added ‘explanation’ panels that give specific details of calculations with parameters such as CF5, T1 etc. clearly listed for comparison with the standard documentation. Gaussian Beam calculations, mW to dBm interconversions etc. User selection of the default angular units, default divergence calculation type, etc. Adaptive Computation Entry allowing calculation of pulse energy, pulse rate or average power. Click here for a video showing a short overview of LaserBee’s functionality, or contact us to purchase LaserBee Laser Safety software or upgrade to the latest version.